“Take them out.” Showtime has just released a new trailer for season four of Billions. The drama series is set in the world of high finance and centers on the conflict between U.S. Attorney Chuck Rhoades (Paul Giamatti) and self-made billionaire Bobby Axelrod (Damian Lewis). The cast also includes Maggie Siff, Malin Akerman, Toby Leonard Moore, David Costabile, and Condola Rashad. 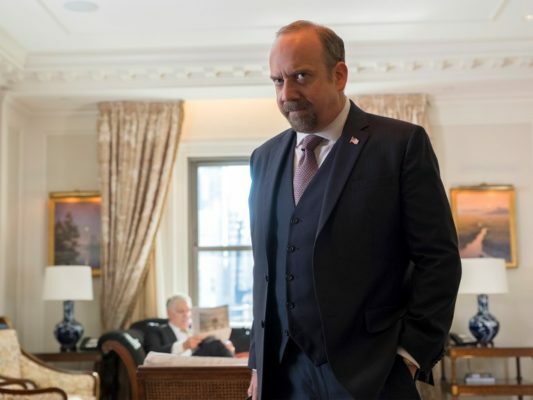 Season four of Billions premieres on Showtime on March 17th at 9 p.m. ET/PT. What do you think? Do you watch Billions? Are you excited for the new season? One of the pinnacles of TV in any era.